House Democrats will use their new majority Thursday to vote on legislation to end the U.S. government shutdown without adding funds for President Donald Trump's border wall, but the GOP-controlled Senate already has signaled it won't act without White House consent. The plan is to pass two separate bills, one reopening eight departments -- which have been closed since Dec. 22 -- through September 2019 and another temporarily reopening the Department of Homeland Security through Feb. 8, two House Democratic aides said Monday. The partial government shutdown is an unwelcome gift for the new Congress, which opens Jan. 3 with the House and Senate politically split. 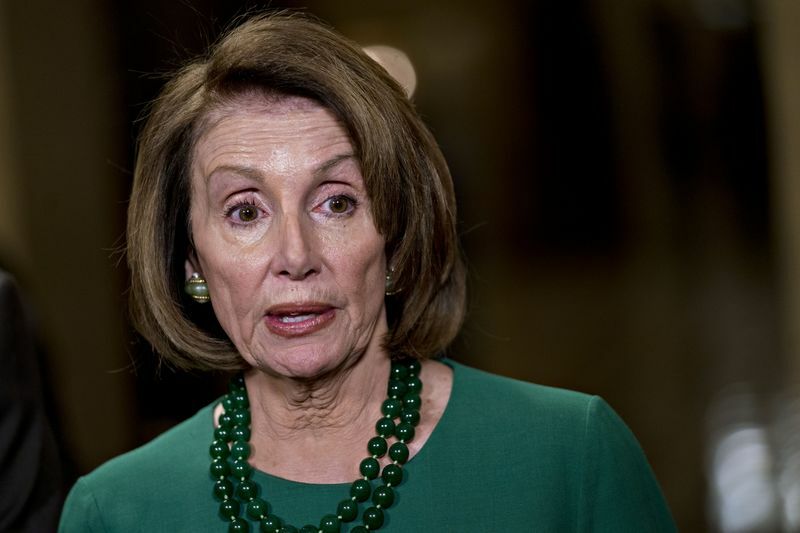 Nancy Pelosi, who's expected to be elected House speaker Thursday, has said her party would vote on ending the shutdown on its first day in power. This would allow negotiations over Trump's request for $5 billion for a border wall to continue while the rest of the government would continue operating. But the Senate doesn't plan to rubber-stamp the House plan. "It's simple: The Senate is not going to send something to the President that he won't sign," said Don Stewart, a spokesman for Senate Majority Leader Mitch McConnell. Senate Appropriations Chairman Richard Shelby said Sunday on CBS's "Face the Nation" that the House votes "would be probably an empty gesture. But that goes on in Washington every day." But as the shutdown drags on, some moderate Republicans may start pressuring McConnell to take a more active role by putting the House bill on the floor for amendment. House Republicans will also have a role to play, even though they'll be in the minority. If some moderates start to balk at Trump's hard-line strategy, they could back a bill to reopen the government and raise the prospect of overriding a Trump veto. There are three basic ways the shutdown that started on Dec. 22 could end: Trump gives up the $5 billion he wants for the wall, Democrats give Trump his wall money, or both sides come up with a face-saving deal. There are many options for that type of deal. Pelosi and Senate Minority Leader Chuck Schumer offered options to Trump during a heated Oval Office meeting on Dec. 11, including a six-bill spending package with a stopgap for Homeland Security and a full-year stopgap spending bill for all the closed federal departments. On Monday, the two aides said the first House measure to be voted on Thursday would provide funding through September for the departments of Agriculture, Interior, Transportation, Housing and Urban Development, Treasury, State, Commerce and Justice, as well as related agencies. The measure will be based on bipartisan draft Senate bills. Disaster aid for hurricanes and wildfires would be handled separately, one of the aides said. Democrats are aiming to pressure Senate Republican leaders to allow votes on the bills. The Senate unanimously approved an extension of Homeland Security through Feb. 8 before the shutdown began, only to see the bill die in the House after Trump rejected the plan. The full-year spending bills for Interior, Financial Services, Agriculture, Transportation and Housing and Urban development passed the Senate in August on a 92-6 vote. The Commerce and Justice bill was approved in committee on a 30 to 1 vote. Trump is dug in and isn't likely to accept the plan, which would provide $1.3 billion for border security on a pro-rated basis, though it couldn't be used for new fencing. The Senate could hold up the full year spending bill and simply pass a stopgap bill for all nine departments through Feb. 8 passed. Such a bill passed the Senate on a voice vote earlier this month before being scuttled in the House by outgoing Speaker Paul Ryan and objections from Trump. As the pain of the federal shutdown increases and workers miss their Jan. 11 paychecks, this option could become more attractive. Lawmakers could also keep current spending levels into March or later. Lawmakers could revive a deal reached in August by Shelby and top Appropriations Committee Democrat Patrick Leahy to provide $1.6 billion for border barriers, including about 65 miles (105 km) of pedestrian fencing near the Rio Grande River. "I think $1.6 billion has a nice ring to it," said outgoing Senate Majority Whip John Cornyn just prior to the shutdown. "A lot of people in retrospect will say we should have accepted that," Leahy told reporters on Dec. 19. The money could have been used only to build existing designs such as steel bollard fencing, and the barriers couldn't be built in the Santa Ana National Wildlife Refuge in Texas along the banks of the Rio Grande. This plan would let Trump claim the shutdown gained $300 million more in funding for border security than Democrats' $1.3 billion offer. Vice President Mike Pence told Schumer on Dec. 22 that Trump could accept $2.1 billion for border barriers, plus a $400 million flexible fund for the president's "immigration priorities." Democrats dismissed the $400 million as a "slush fund" that could be used to mistreat migrants, and they called the offer hollow because Trump hadn't publicly endorsed it. Still, this offer could become the seed for a deal if Trump endorsed it. Language could be added to limit the money to barriers that Trump could call a wall and Democrats could call a fence. Limits on the $400 million could direct the money to mutually agreeable uses. Trump met with Pence, White House budget director Mick Mulvaney and senior adviser Jared Kushner Friday night at Pence's residence for about two hours. These options appear less likely since Trump on Monday said he has not abandoned demands for a concrete wall on at least part of the border. Earlier this year, Schumer and Trump attempted to craft a deal on immigration that would have provided $25 billion for the wall in exchange for a path to citizenship for so-called Dreamers, young undocumented immigrants brought to the U.S. as children. That was scuttled after conservatives insisted on changes to legal immigration, and court challenges halted attempts to deport the immigrants. White House officials have said Trump could be open to this idea again, though Democrats say they don't trust Trump to complete the deal without adding demands at the last minute. The name of the game in shutdown fights is avoiding blame. Trump said in the widely televised Oval Office meeting on Dec. 11 that he would accept blame for any shutdown, but since it began, he's insisted that Democrats are at fault. On Sunday, he tweeted about a "SchumerShutdown." Democrats are in no mood to give in, making a capitulation to Trump the least likely scenario. Slightly less implausible: Shelby floated a compromise in which Trump's $5 billion would be split into $2.5 billion for each of two years. Trump was said to privately back the idea, but Democrats rejected it because the money could be used for a concrete wall. Because Pence's Dec. 22 offer was lower than the $2.5 billion level, returning to this solution seems unlikely. On CBS's "Face the Nation" on Sunday, Shelby urged both sides to stop the blame game and said Democrats should articulate what kind of border security they can support. Montana Democrat Jon Tester, on the same program, said he prefers technology and more manpower at the border to a wall.